The Year 8 Healthy Snack/ Sandwich competition 2018 has taken place this morning in the MDA. What a great experience for our Year 8 students, who have worked hard in preparing healthy, tasty and responsible dishes! Our jury members had a difficult time choosing the best dish. 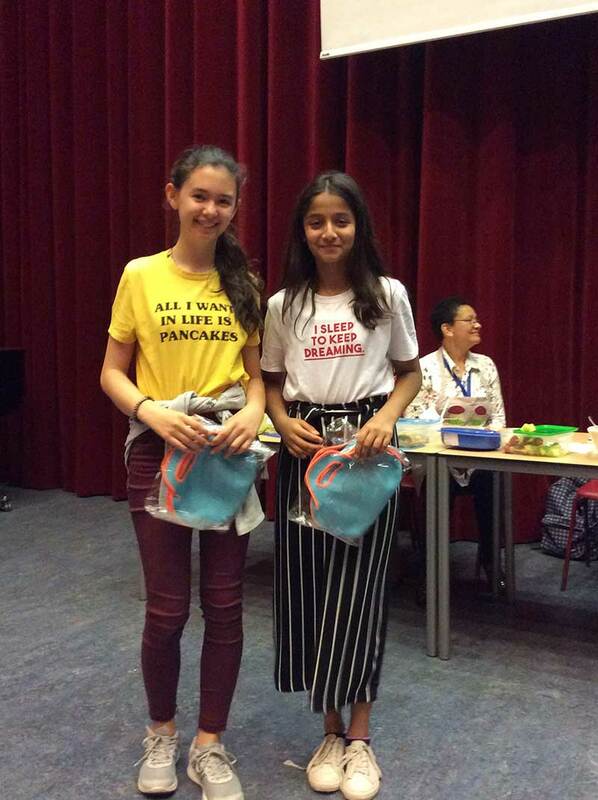 We proudly announce that the winners of the competition are Sophia and Vaamika, from 8H, who made a delicious chicken salad with sweet potato and avocado saus: a healthy dish, with an international flair, made with fair trade/ biological products. Well done!